AstralPool SEL Clear 55 13Gram/Hour Chlorine Production. For Pools of up to 30,000 Litres. 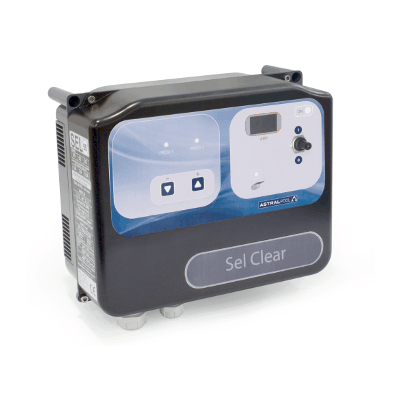 Reverse polarity self cleaning chlorinator easy installation and use. Provides a good quality/price ratio, optional flow switch (available on request). Assembly on panel NOT included.